A one time fee for advertising with no recurring monthly costs! Your company vehicles will become the most cost effective form of mobile advertising available. It offers your marketing strategy a new medium with many creative possibilities bringing greater visibility to your business. According to an Arbitron outdoor study, your vehicle ad can be seen up to 30,000 to 70,000 times per day. Plus, you can change your messaging when your marketing needs change at a fraction of the cost of other advertising media. The wrap advertising business extends beyond just vehicles. Many spaces and surfaces present strong advertising, branding or decorative opportunities, including walls (interior and exterior), windows, doors. No purple windows – Guaranteed. They said it couldn’t be done. No one can produce window film that doesn’t turn purple. Well, 3M can and does. 3M’s revolutionary new process for Color-Stable Auto Film stays consistent. Our window films will not fade to purple and we give you a guarantee to back it up. Look great on the outside, and get protection from the sun’s heat and glare on the inside. 3M Scotchtint Color-Stable Auto Film will help make your car cool and comfortable. Our films block out 99 percent of the sun’s damaging ultraviolet rays, so your interior is less likely to fade, crack and peel. In addition to its fantastic appearance, 3M Scotchtint Color-Stable Auto Film helps to keep you and your passengers safe during an accident by holding glass in place. Plus, not only does the film prevent shards of flying glass, the tint can hinder thieves from seeing into your vehicle. Regardless of whether you choose a light, medium or dark film for your car, 3M Scotchtint Color-Stable Auto Film will give your car a beautiful look and may increase your car’s resale value. 3M Scotchtint Color-Stable Auto Film is coated with a durable, scratch-resistant covering and uses its very own proprietary adhesives to create a clear, strong bond, your car’s sleek look is guaranteed by 3M against: bubbles, peeling or blisters. 3M window films are backed by a limited lifetime warranty; when you have your 3M Scotchtint Color-Stable Auto Film installed by a 3M authorized dealers. Receiving your warranty card is your best assurance that you have the finest film available and that it’s been properly installed in your vehicle. Autotrim Plus has helped protect everything from huge luxury motor homes to the smallest high-end sport cars. Regardless of what kind of vehicle you own; motor home, sport utility, truck, van, passenger car, or sports car; if you want to protect your investment and add value to your car, you’ll want 3M’s Scotchgard Paint Protection Film. When you invite the sun into your home, you shouldn’t have to live with fading fabrics, wood, wallpaper, and artwork. 3M’s Scotchtint Films block 99% of the sun’s ultraviolet rays and reject up to 71% of the suns heat, so you won’t have to keep pulling your shades and drapes to keep your home beautiful. Your home is where you should feel most comfortable. Yet heat, cold and glare can make your favorite room the last place you want to be. With 3M Scotchtint window films, you can make your home a more comfortable place to be all year-round. 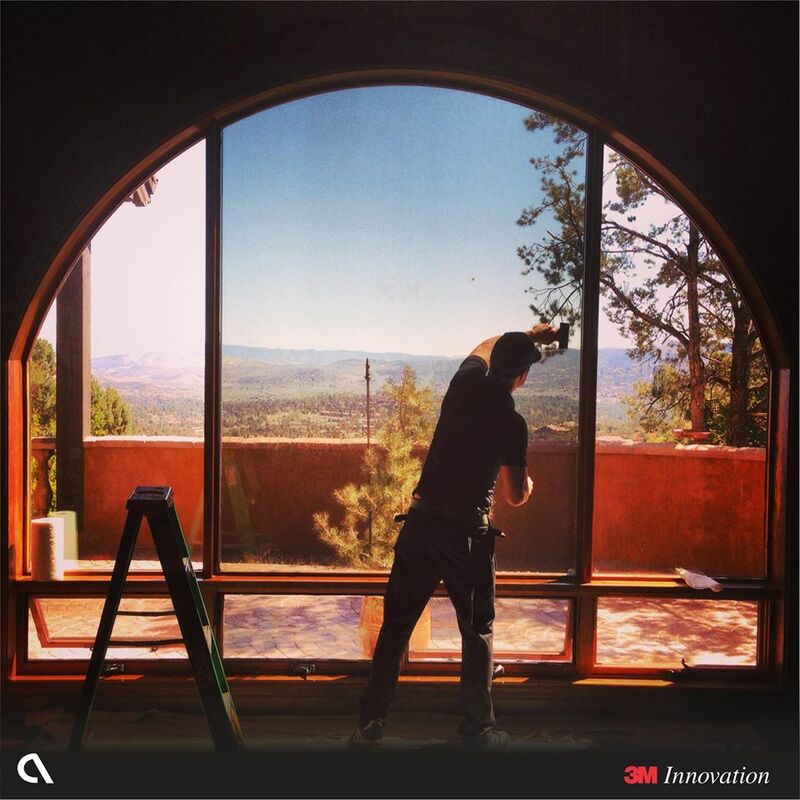 All of 3M’s residential window films come with a standard, limited lifetime warranty, for as long as the buyer lives in the home. This warranty covers any film defect and some window defects. We also offer a Platinum Warranty upgrade, giving you a full manufacturer window warranty. Ask our outside sales manager for details. Night Vision window films offer protection from the sun’s damaging UV rays and control heat and glare, while inviting warm, natural light into the room and increasing comfort. Unlike most high-performance, metal based films, Night Vision films have a low interior reflectivity that leaves your view clearer than ever, especially at night. That powerful combination makes Night Vision films a welcome addition to any home. Amazing clarity. Advanced ceramics allow these films to maintain their color and appearance over time. The Ceramic Series films reject up to 80% of the sun’s infrared light and reject up to 59% of the heat coming through your windows. Ceramic Series films also block 99% of UV rays, significantly reducing fading of your furnishings. The Ceramic Series films allow 30% to 50% of the natural light into your home. Clearly superior. Designed to maintain the appearance of your home, Prestige Series films combine lower than glass reflectivity with film options that allow most of the light into your home. Prestige Series films allow 40% to 70% of the natural light into your home. Prestige Series window films use non-metallized, multi-layer optical film and nano-technology to reject up to 97% of the sun’s infrared light and reject up to 60% of the heat coming through your windows. These films also reject up to 99.9% of damaging UV rays to reduce fading of your furnishings. Auto Trim Plus of Prescott AZ produces a variety of signs, sign products and display products including banners, magnetic, A-frames, wood substrate, plastic signs, metal signs, illuminated sign reface, event signs, printed signs, trade show signs, displays, wall & window graphics, commercial signs, job site signs, real estate signs and storefront signs. © 2015 Autotrim Plus. ALL RIGHTS RESERVED.